Golden Ocala, FL: Riding lessons & other specials available. 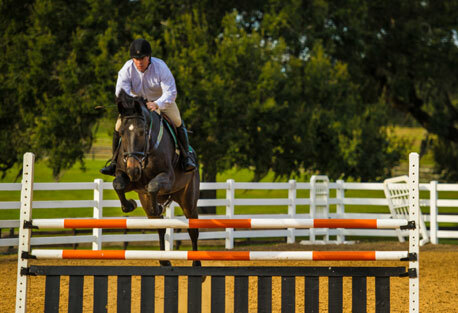 > Golden Ocala Golf & Equestrian Club, Ocala FL invites visitors to Stay and Play in a luxury residence enjoying amenity specials designed exclusively for Play and Stay guests. Accommodations are now offered at 10 percent discounts on regular rental rate. Minimum stay is two nights. Amenity deals include equestrian riding lessons at $40 per hour, rounds of golf at $90 and private golf lessons with John Elliot Jr. at $180 per hour. A junior lesson is just $130 and golf clinics are $20 per person. Send me more information about Golden Ocala! Sun City Oro Valley, AZ: Golf clinics available. > Sun City Oro Valley, Oro Valley AZ has released its upcoming schedule of game-improvement golf opportunities as designed by the club’s PGA-certified golf professionals. These Wednesday clinics begin on April 4 and will focus on driving, putting, chipping and full-swing iron play Golfers are invited to attend as many of the clinics as they wish, at a fee of just $20 per session. Send me more information about Sun City Oro Valley! Madison Keys: Plays for a spot in the semifinals. > Daniel Island, Charleston, SC, is the scene this week for the $800,000 Volvo Car Open, North America’s largest women’s-only tennis tournament. The event, formerly known as the Family Circle Cup, moved to Charleston in 2001 from Hilton Head Island, SC, and is celebrating its 45th anniversary this year. The weekend matches feature the quarterfinals on Friday, semis on Saturday and the championship final on Sunday. The Volvo Car Open welcomes more than 90,000 spectators each year. The tournament features a singles draw of 56 players, a qualifying draw of 32 players and a doubles draw of 16 players. Send me more information about Daniel Island! Woodside, SC: Southern Living bestows “South’s Best” awards. Fittingly, Aiken will be presented on the cover of the latest issue of the magazine, in a photo showing the famed canopy of oaks on South Boundary Avenue. Send me more information about Woodside!